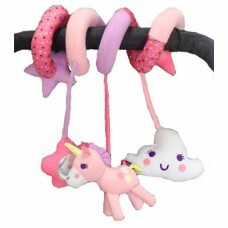 The Lullaby Swing has a soft padded seat with full support and side cushions to help keep baby feel ..
2 in 1 toy.Perfect for travelling, using on cot, car seat, pram and much more Suitable from bir.. Encourage your little one with this fun tummy time play mat. Providing tummy time play and encouragi..